Michelangelo. Brutus. 1540. Marble. Museo Nazionale del Bargello, Florence, Italy. 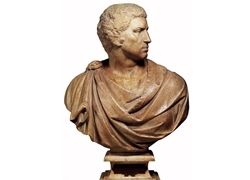 This is the only known bust by Michelangelo.